Uploading and downloading LWP files from multiple ways like email, USB, or Google Drive. Lightwell saves as a local file on your computer similar to other software tools. Whenever you save your Lightwell project to you computer, Lightwell saves as a LWP file (.lwp). 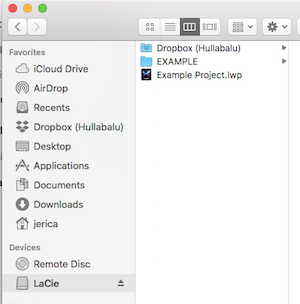 For example, if you look at your Lightwell project file on your computer it will show "Project Name.lwp"
Note: When sharing Lightwell projects, the receiver MUST have Lightwell on his/her computer to open your LWP file. There are multiple ways to share your project like email, USB, air drop, or uploading to a cloud like Google Drive. Zip your LWP file and then upload the zip file to your email. Connect your portable storage device to your computer. Once it's synced, drag your LWP file into the portable storage folder. Note: Make sure you properly eject your portable storage device from your computer. 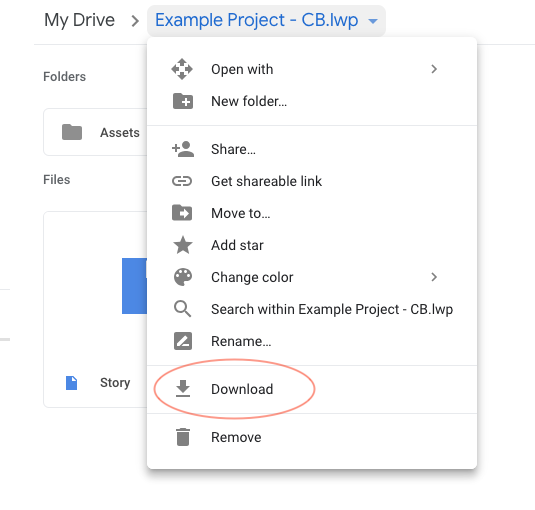 Open your Google Drive folder and drag your LWP file into where you'd like your LWP file to live. 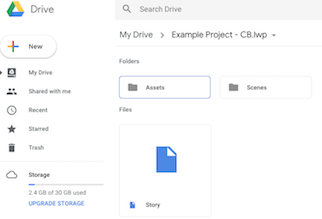 Google Drive will show all the different folders that make up the LWP file. 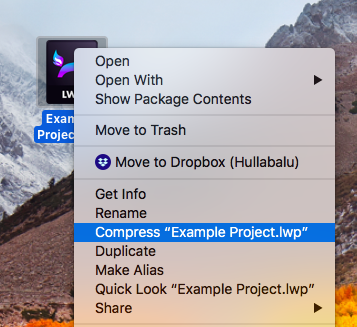 However, you need to download the entire LWP file in order to open your project. If you download the folders within the LWP file, your LWP file will not open. The process is similar to how you normally download email attachments or files from an external device. Similar to how you download files from an external hard drive, just drag the LWP file to your desired folder destination.